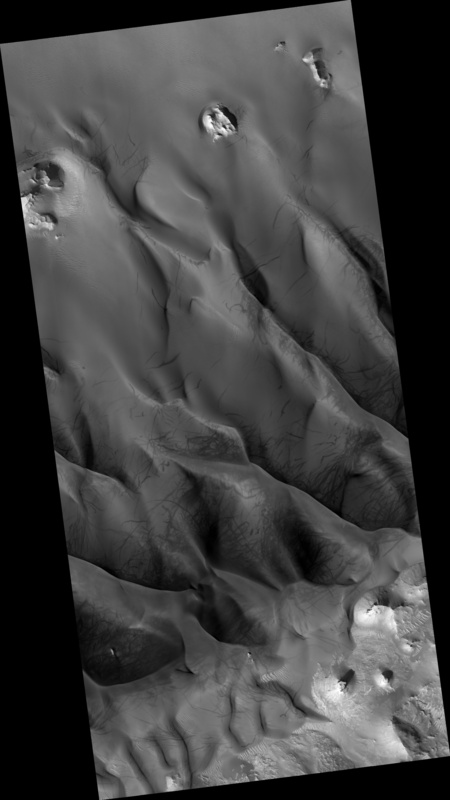 This observation shows a sand dune field in the Nili Fossae region of Mars. 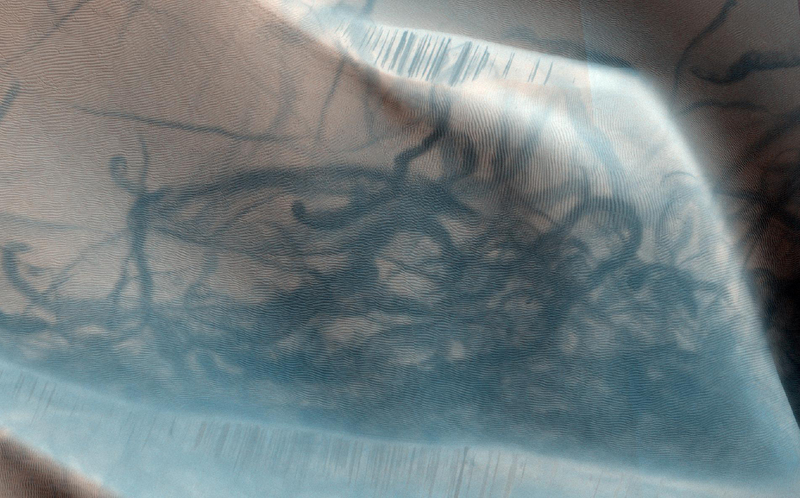 The dark lines swirling over the surface of the dunes are the tracks of dust devils. Dust devils are whirlwinds that pick up the light colored dust on the surface as they move around in odd patterns. The lines visible on the dunes are the dark sand left behind when the surface layer of dust has been removed. 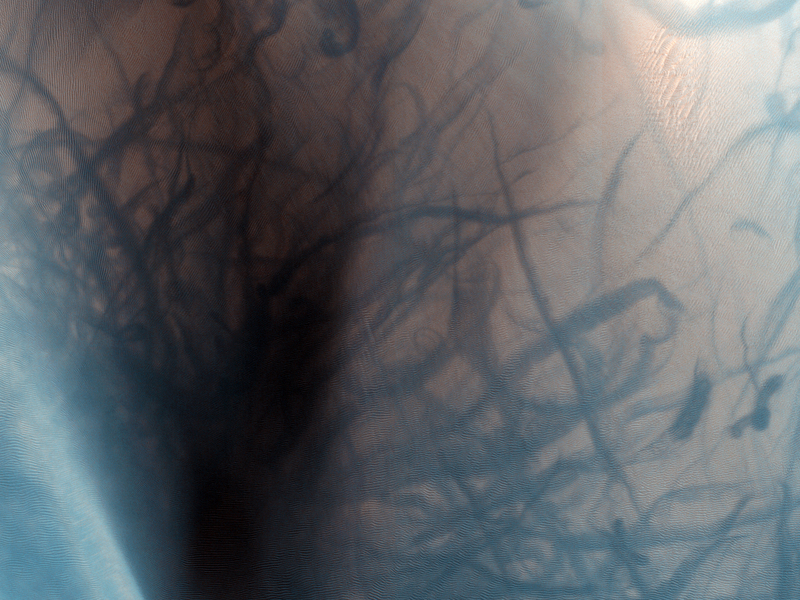 This area was previously imaged in August 2009, about two Mars years ago, and in that image dust devil tracks were also visible. However the tracks visible now are completely different from the earlier ones. 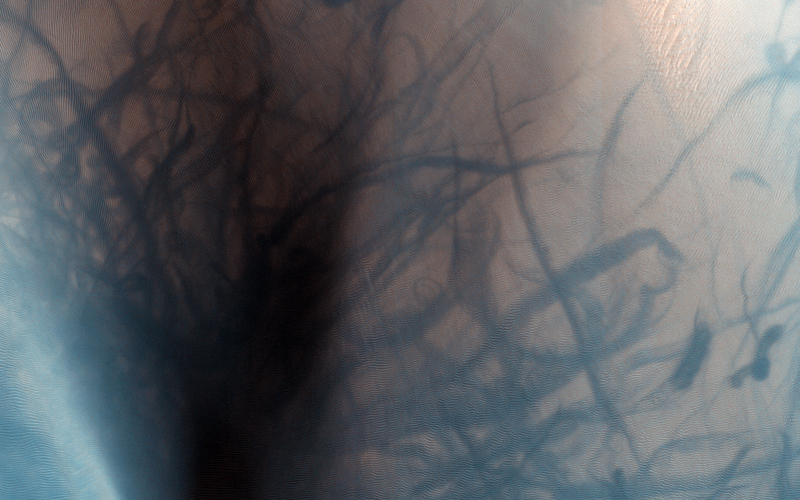 This tells us that there has been at least one dust storm since then to erase the old tracks, and lots of dust devil activity to create the new ones. 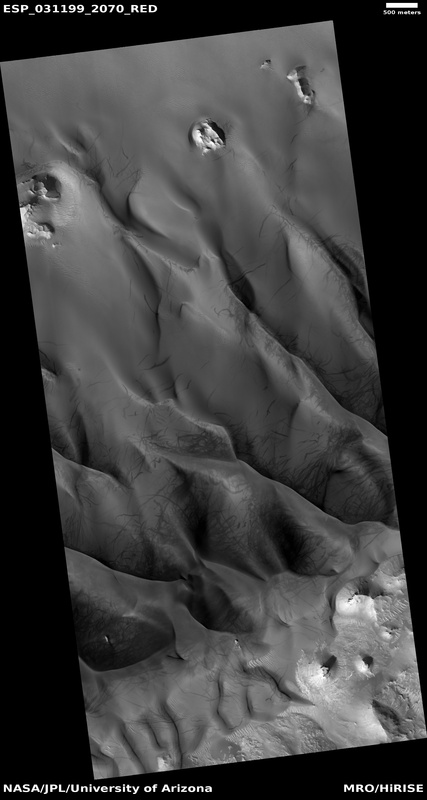 We can also see dark linear streaks going down the slopes of the dunes. These features are caused by some sort of flow down the slope of the dune which strips away the light surface layer of dust. In 2009, similar streaks were observed on the slopes of the dunes, however they were different from the ones which are observed now. Thus the flows which are causing these streaks are still active today.